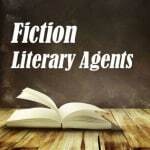 Fiction Literary Agents – Find all fiction book agents on our List of Literary Agents using the official Directory of Literary Agents™. For example: Richard Abate (3 Arts Entertainment), Laurie Abkemeier (DeFiore and Company), and Pamela Ahearn (The Ahearn Agency). How many fiction literary agents are there? Where are they located? And what do they want? The official Directory of Literary Agents™ has detailed book agent biographies, contact information, and more for all fiction publishing agents. 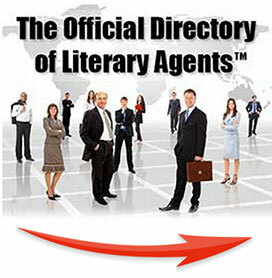 Enter your first name and email address for free instant access to the official Directory of Literary Agents™. Join thousands of other subscribers and use what authors are calling “the most comprehensive–and accurate–book agent directory available in print or online” (maintained by a former NY Times bestselling literary agency owner and President). As soon as you enter your name and email address, you’ll see complete profiles for all Fiction Literary Agents in our Directory of Literary Agents. Here’s a sample listing from the directory. Most book agent directories (print and online) are outdated, incomplete, and riddled with mistakes. If you rely on those directories to find Fiction Literary Agents, you’re going to hurt your chances of getting a literary agency to represent you. So enter your first name and email address now. Get FREE instant access to the most trusted Directory of Literary Agents (in print or online) available today. If you’re not sure what book genre your book fits into, click here to visit our Book Genres website. There you’ll find information on every fiction category that you can imagine. For example, you’ll find a definition for the genre, and any related genres or sub-genres. You’ll also see a list of book genre examples for every category. If you’re not looking for fiction literary agents, click here for information about nonfiction literary agents or literary agents for children’s books.